We had our Fairtrade football match! click here for pictures. We are delighted with our recent success in retaining our Fairtrade Fair Achiever Award ! This is the TOP AWARD from the Fairtrade Foundation UK, and we are very proud to have gained this award for the second time. Congratulations to our Fairtrade Committee on this fantastic achievement, and to all the children and staff at our school who continuously support Fairtrade and contribute immensely to promoting Fairtrade issues through a series of individual, group and whole-school initiatives. We continue with activities that we planned during Fairtrade Fortnight with a Fairtrade tuck shop sell! Click here to go to post. That’s Fairtrade Fortnight over for another year, but we will continue our support throughout the year. The Big Breakfast was also a great All Day Breakfast! Click on the link here for more. We had the coffee morning; it was really successful! The Fairtrade assembly was today. It was really informative. The committee produced an excellent PowerPoint (which you can view here as a PDF) and told us about how Fairtrade helps. We saw a video about the journey of bananas from plantation to our local shops. Big news! Fairtrade Fortnight starts on the 29th of February! We have lots going on. 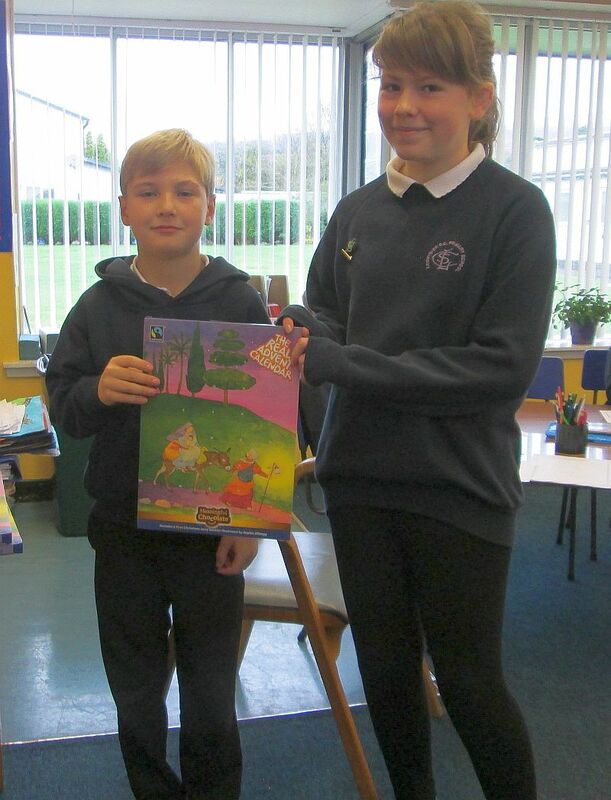 We start with an assembly on the 25th reminding and informing everyone just what Fairtrade is all about. The following Thursday we are holding a Fairtrade Coffee morning! The Friday after this we are having The Big Breakfast letting everyone try a Fairtrade Breakfast in school! For more information visit the Faitrade website here! 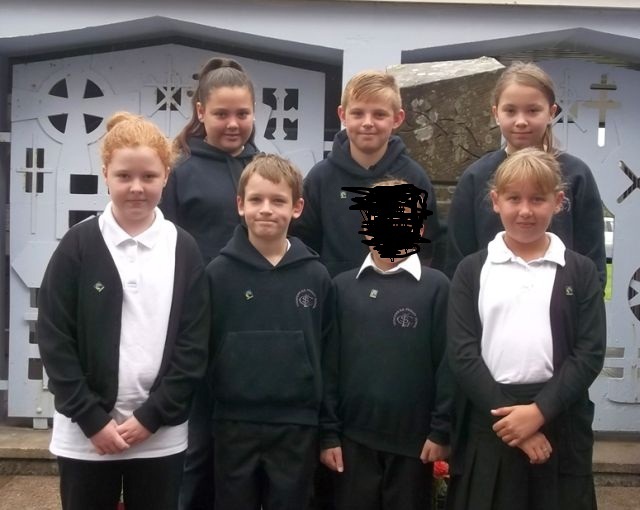 This page is all about the school Fairtrade Committee, all about what it does and what the Committee intends to do in the year ahead! 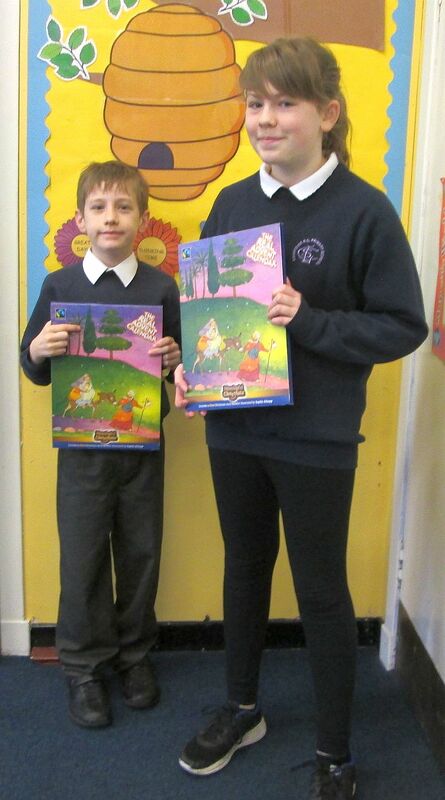 As Christmas is around the corner we have been selling Fairtrade Advent Calendars in school. We have been doing a roaring trade and at the same time raising awareness of Fairtrade! On Children in Need Day we organised a ‘Bake Sale’ as part of the day. We had lots of fun baking and it was all for a good cause! The Fairtrade Committee had an interesting day. |They gave a presentation to the P1/2 class all about Fairtrade, there was a talk and games and lots and lots of questions. 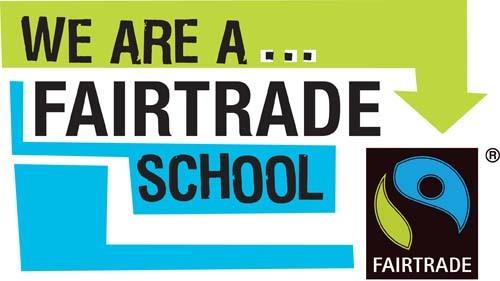 We are a Fairtrade School. 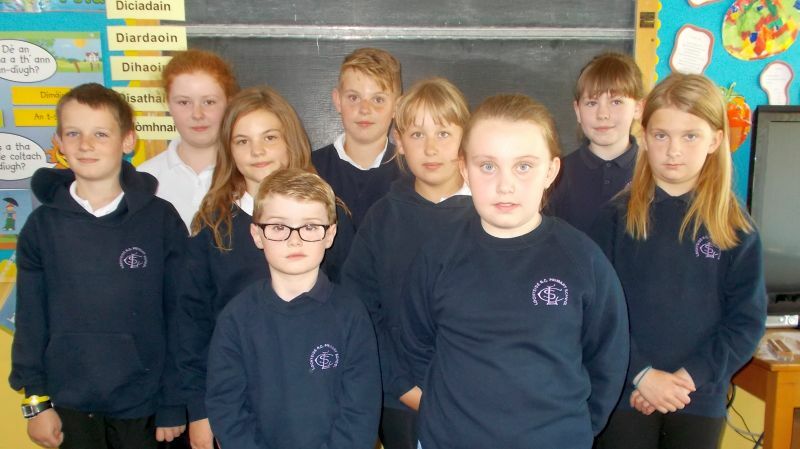 This was our Fairtrade committee for 2014/15!